Thanks for popping by! 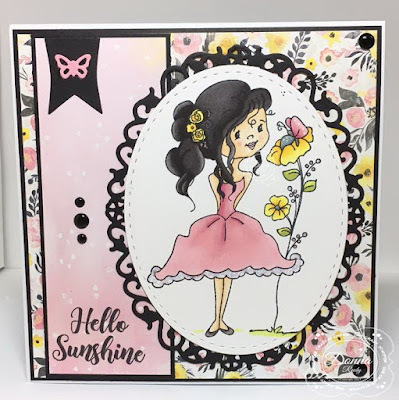 This week my card features "Willow" and the "Hello Sunshine" sentiment from the Think Spring new release at High Hopes Rubber Stamps. To be honest, I have stepped out of my colour comfort zone with this one. This is the first time I am using black for hair colour and black in my card layout. It was fun to push myself out of my creative box with a little help from a super talented crafter and friend Cheri - thank you for the push! Without further ado, let me introduce you to Willow. 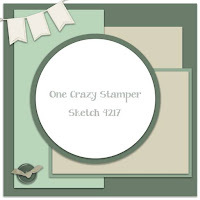 I coloured my stamp with alcohol markers and cut it out with a stitched oval die. 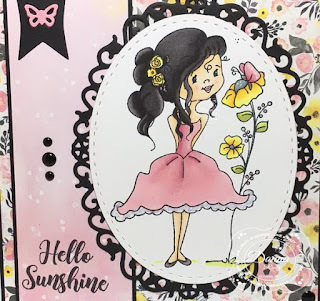 Stickles on the dots in her hair, the flower stem and the bottom of her dress gave me the little bit of sparkle I love to include on my cards. A black frame cut with a floral oval was the perfect touch, along with a butterfly banner in matching colours. 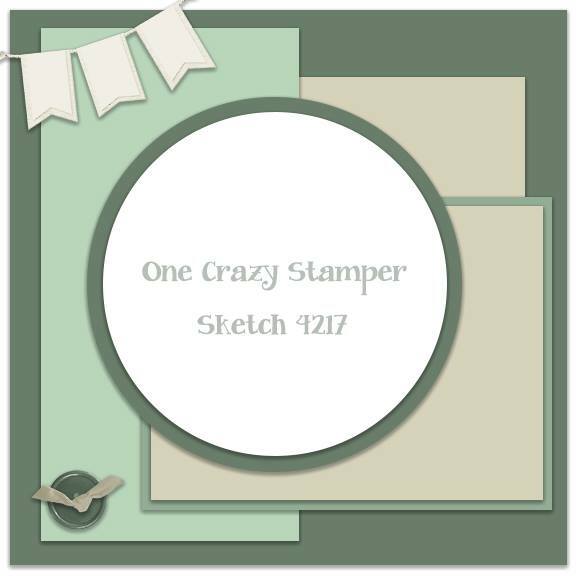 The sentiment is stamped directly on my patterned paper - love my Misti for this! Some enamel dots finish off my card. WOW! Willow turned out awesome! Love the black floral oval behind Willow! 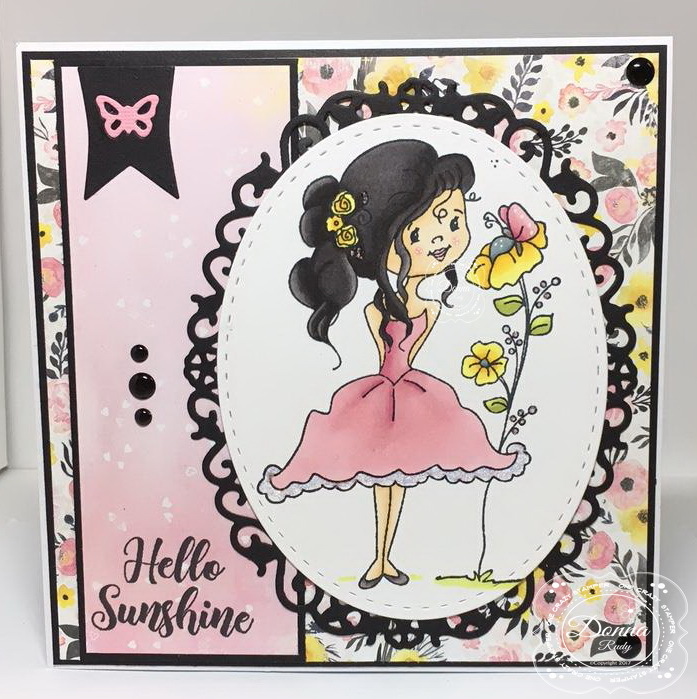 See.... sometimes "out of your box" makes an incredible card! BTW the black hair is coloured perfectly!